Can’t decide if you have an allergy or intolerance? Read below and find out the answer for certain. At Sensitivity Check, we help people understand their sensitivities and intolerance (food and non-food) every day. The majority of allergies are hereditary and you will most likely be allergic to certain items for life. On the other hand, an intolerance can and does change depending on your diet and lifestyle. The good news though, is you can work with your intolerances to reduce them and even eliminate them. How do I know if I have an intolerance or sensitivity? The body is lacking the necessary digestive enzymes(s) for the certain food and therefore cannot digest the item properly or efficiently take the nutrients from it. Alternatively, are you eating too much of the same thing? Many symptoms are the result of a sensitivity to a particular item. A sensitivity can occur from overconsumption or overexposure of an item. How do I detect an allergy? Allergy’s present themselves in various ways which severely impact our body. Ranging from localised swelling to a rash or even having difficulty breathing, these allergic reactions can affect our daily routine. Peanut, shellfish, egg and soya are among some of the most common food allergens, so be careful and make sure you get tested! IgG4 food sensitivities are generally less severe than IgE food sensitivities and typical symptoms can include; headaches and nausea, seizures and hyperactivity. These may occur hours or even days after the offending food has been ingested. The degree and severity of symptoms vary because of the genetic makeup of the individual. IgG4 food sensitivities are generally treated by removing problem foods from the diet and by helping digestion with probiotics. However, you may just have an intolerance to a food, meaning if managed carefully, you can still consume the particular product. An intolerance is not as severe and immediate as an allergy. These symptoms come on gradually; anything from 30 minutes up to a 48 hours later, but this does make the culprit harder to catch. Like an allergy, there are a range of symptoms, and they may also have a severe impact on your These symptoms might include headaches, bloating, localised itching or skin irritations such as eczema, excessive mucous production, excessive gas, diarrhoea, and fatigue. So again, it is essential that you take a test! Get a comprehensive food and non-food sensitivity report in 7 days! How can I be sure it is an allergy? The most common method of diagnosing allergies is with a simple blood test, usually testing the IgE or IgG levels in the blood. 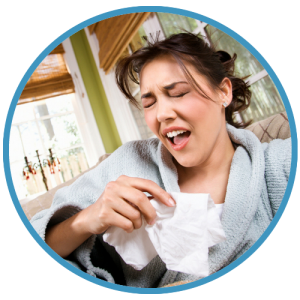 Typically, IgE allergies are immediate responses to when a foreign substance that has entered the body. Where do they come from though? These foreign substances can come from food or can come from inhalation. 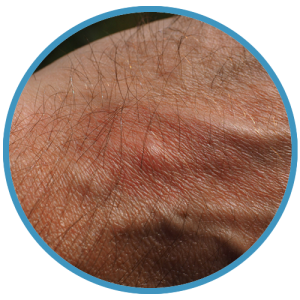 IgE allergies can cause very serious symptoms like difficulty breathing, swelling, and hives. In even more serious cases, IgE reactions can lead to anaphylactic shock. IgG4 food sensitivities are generally less severe than IgE food sensitivities and typical symptoms can include; headaches and nausea, seizures and hyperactivity. These may occur hours or even days after the offending food has been ingested. The degree and severity of symptoms vary because of the genetic makeup of the individual. Ultimately, it is not a complete disaster! IgG4 food sensitivities are generally treated by removing problem foods from the diet and by helping digestion with probiotics.